When Craig Groeschel founded LifeChurch.tv, the congregation met in a borrowed two-car garage, with ratty furnishings and faulty audiovisual equipment. But people were drawn there, sensing a powerful, life-changing force Groeschel calls "It. 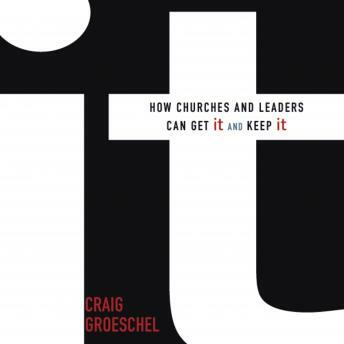 "What is It, and how can you and your ministry get-and keep-It? Combining in-your-face honesty with off-the-wall humor, this book tells how any believer can obtain It, get It back, and guard It.One of today's most innovative church leaders, Groeschel provides profile interviews with Mark Driscoll, Perry Noble, Tim Stevens, Mark Batterson, Jud Wilhite, and Dino Rizzo.This lively book will challenge churches and their leaders to maintain the spiritual balance that results in experiencing It in their lives.